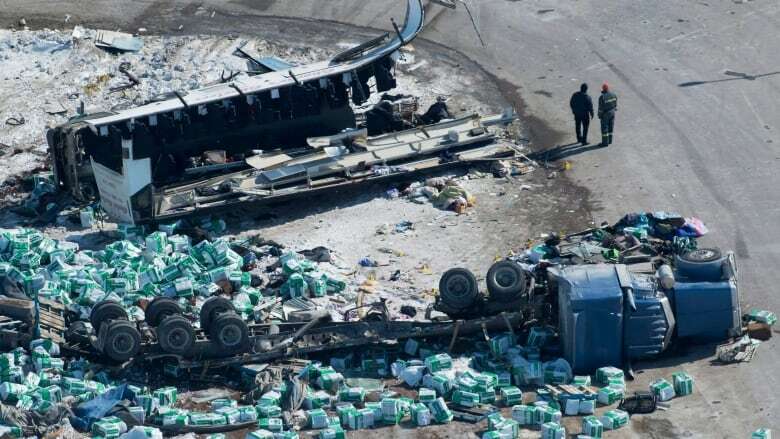 The owner of a suspended trucking company involved in the Humboldt Broncos bus crash began recruiting drivers on Kijiji as early as one month after the tragedy, for another trucking company based out of his Calgary home, CBC News has learned. "I'm quite surprised," said Scott Thomas, whose son Evan died in the collision. "I would've thought that maybe out of respect for the families and the nature of the tragedy that any entrepreneur would have respected the fact that there should be a certain amount of time that went by.… I get it; he's a businessman. But to me, I'm surprised and disappointed that it happened so quickly." Sukhmander Singh did not mention what happened to the driver involved in the crash or his suspended company, Adesh Deol Trucking Ltd., while advertising for an owner-operator, as well as new and experienced truck drivers to work for Quality Logistics. The ad was posted on Kijiji at the beginning of May. He used his cellphone number and half of his first name, "Sukh," in the advertisement, which was taken down one day after CBC News asked Singh about it. Quality Logistics was registered with the Alberta government in 2015, but did not file its annual returns for a few years. By April 14 — eight days after the deadly collision — it filed those returns and was revived. 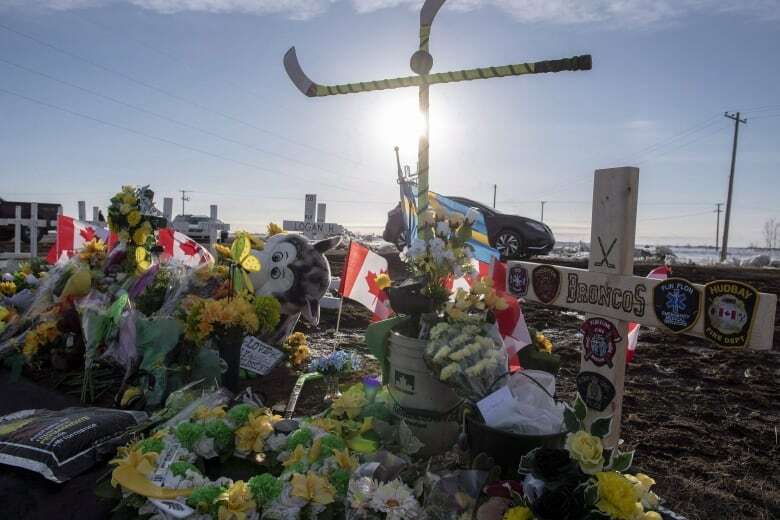 Sixteen people died and 13 were injured when the Charlie's Charters bus carrying the Humboldt Broncos junior hockey team to a game in Nipawin, Sask., collided with a semi-trailer about 30 kilometres north of Tisdale, Sask., on April 6. The cause of the crash is still under investigation by the RCMP. No charges have been laid. Adesh Deol Trucking Ltd., had its safety fitness certificate (SFC) suspended by the Alberta government on April 10 pending the outcome of the police investigation because one of its two vehicles was involved in the fatal crash. The certificate needs to be kept in good standing with federal and provincial regulations in order to operate a trucking company in Alberta. The suspension does not determine guilt or innocence but is intended to ensure public safety while the RCMP investigation is underway, according to Alberta Transportation spokesperson Graeme McElheran. On April 20, 10 days after the suspension, the two directors of Quality Logistics — Kuldeep Randhawa and Baltej Singh Brar — changed the address of their company to a house in Calgary owned by Randhawa and Sukhmander Singh. It is the same place where Adesh Deol Trucking was located. The move prompted a red flag for the Alberta government. It suspended the SFC for Quality Logistics on May 18 after learning that one of the trucks and drivers previously listed under Adesh Deol Trucking began operating with the company. It is not the driver who was involved in the Humboldt Broncos incident, according to McElheran. Singh was the only other driver at Adesh Deol Trucking. The Alberta government lifted the suspension for Quality Logistics on June 1 after the company demonstrated it was in full compliance with all commercial transportation safety legislation, McElheran said. The provincial government will conduct a followup audit of the carrier over the next three months by closely monitoring the company, McElheran added. If any significant safety infractions are found, the SFC will be suspended immediately. Randhawa and Brar do not have managerial roles in Adesh Deol Trucking, according to corporation registration documents. It is unclear if they were involved in the company in another role. Despite repeated attempts, CBC could not reach them for comment. Quality Logistics did not have any fleet until May, when it acquired two trucks, including one from Adesh Deol Trucking, McElheran said. 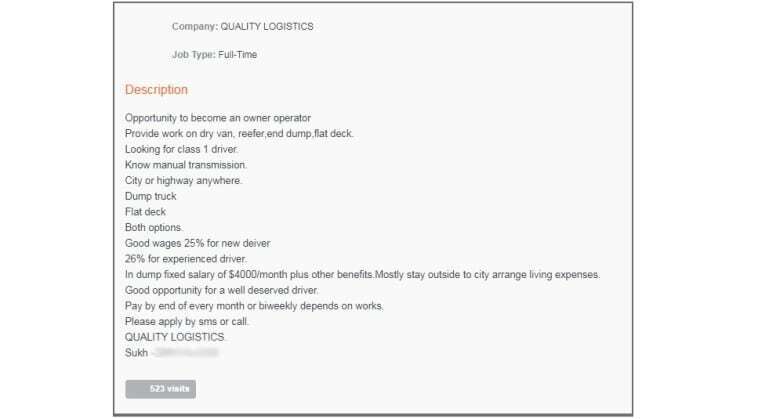 Singh can work as a staff member for Quality Logistics while Adesh Deol Trucking is suspended, according to McElheran, but he cannot become a manager. "If a carrier's SFC is suspended and the owners, directors or shareholders attempt to operate another carrier, Alberta Transportation will investigate to determine the nature of their roles," McElheran wrote in an email to CBC News. "They might work for another carrier, but if they are found to have executive or management roles, Alberta Transportation may suspend, downgrade or apply conditions to the carrier's SFC." Thomas said he has concerns about Singh's actions. "Man, that's hard to understand," Thomas said. "I don't think he should be allowed to do that." Stephen Laskowski, president of the Canadian Trucking Alliance, says Quality Logistics appears to be operating as a "chameleon-like carrier" — a term people in the trucking industry use to describe companies that shift business profiles and operations under different entities to circumvent the rules. Laskowski is calling for new national standards to close what he describes as that "loophole." "The vast majority of trucking companies across Canada want to see an end to this practice," Laskowski said. "They're appalled by such practices." Laskowski said he would like to see a plan that examines how the rules about company formation are enforced to address these practices. Alberta Transportation is reviewing its entry requirements for commercial operators to identify opportunities for enhancing safety among Alberta-based carriers, McElheran said. Singh declined an interview with CBC News but said he is allowed to work for another company as long as he is not a manager. He said he was recruiting for Quality Logistics while one of the owners of that company, who is a friend, is in India. Singh said he is not in touch with the driver involved in the Humboldt Broncos crash at the moment. The driver is living in Alberta, Singh said, declining to provide the driver's name. 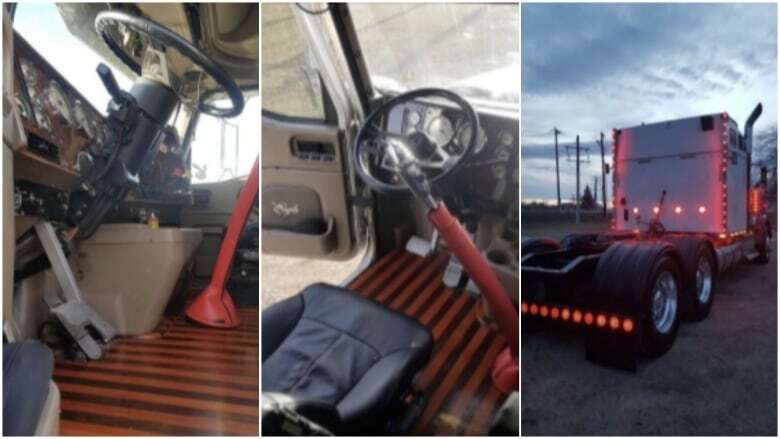 Singh told CBC News on April 10 that he gave the driver — who Singh said is about 30 years old — two weeks of training and he had been driving on his own for Adesh Deol Trucking for two weeks before the crash. The suspension that was slapped on Adesh Deol Trucking following the fatal collision was standard procedure any time a commercial carrier is involved in a significant or high profile incident that poses a risk to the public, McElheran said. The suspension does not have a defined duration; it will last until the Alberta government is satisfied the public is not at risk, McElheran added. Adesh Deol Trucking began operating in the fall of 2017. It only has one previous Commercial Vehicle Safety Alliance inspection defect dating back to Feb. 8, when a driver exceeded the federal hours of service regulation in the Northwest Territories. Two months have passed since the crash, but Thomas says life is not getting any easier. "In a lot of ways, it's getting harder because the initial shock is wearing off, and now it's settling in, so it's not better," Thomas said. "It's one foot in front of the other. You got to keep just moving forward and deal with one thing at a time and hope one day you can look back and make sense of it all." Thomas says he wants to see improved standards in the trucking industry. "It's kind of the Wild West out there," Thomas said. "To some degree, truck drivers should be like airline pilots. They're driving a weapon out there. They're literally driving a weapon out on those roads. There should be a minimum standard." Last year, Ontario became the first province to make truck-driving training mandatory. Drivers must take a minimum of 103 hours, or roughly three weeks, of training. In Saskatchewan and elsewhere, training remains optional. But governments in Alberta, Saskatchewan and Manitoba are considering whether to make it mandatory. Many people in the trucking industry are beginning to ask whether it is too easy to start a trucking company in Canada, Laskowski said. "When we operate on a public highway, we must be safe," he said. "If we cannot live up to that standard of safety and compliance, then we do not deserve to make a living in the trucking industry."